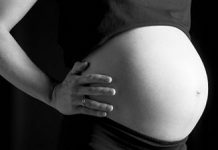 It has long been understood that drinking alcohol during pregnancy is very dangerous for the unborn baby and as more and more research gets done on this subject, more facts about Fetal Alcohol Syndrome are coming to light. Though it is recognized by some experts that the occasional glass of wine is not likely to cause any problems, facts about Fetal alcohol syndrome that keep coming to light have cause the United States Surgeon General to issue the recommendation that it is best not to drink at all during pregnancy.Here are a few reasons that explain why alcohol rehab is important for pregnant women who are struggling to kick the habit . The reason that alcohol causes birth defects among children whose mothers have used alcohol during pregnancy is that alcohol is able to breach the placental barrier and cross over to the fetus, thereby stunting growth, causing damage to neurons and brain structure, causing facial malformations to occur, etc. Abnormal appearing facial features, which are known as craniofacial abnormalities are often to be seen in children with fetal alcohol syndrome. A small head circumference, malformations of the eye fold, upper life, nasal bridge etc may be noted. Growth deficiencies that this syndrome causes can not only result in low birth weight of the child or premature birth but can persist after birth with a child experiencing poor height and weight gain. Fetal alcohol syndrome causes permanent damage to the central nervous system and in particular to the brain and in the western world alcohol exposure of the fetus is said to be the leading cause of mental retardation. Other than retardation several other primary functional and cognitive disabilities can be caused, such as short attention span, poor memory, poor reasoning abilities and impulsive behavior. Other problems can also have their root in fetal exposure to alcohol, such as a propensity for drug abuse and addiction and other mental health problems. The fact is that Fetal Alcohol Syndrome can take place at any point during the pregnancy, since there is danger posed by fetal exposure to alcohol during each of the trimesters. This is because the brain is developing throughout the pregnancy period. However, alcohol exposure to the fetus at different stages in the pregnancy may cause different kind of malformations and abnormalities since there may be different ongoing developmental processes at that particular time of fetal exposure to alcohol. 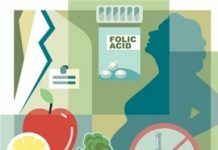 Previous articleAcidity During Pregnancy – Why Does It Happen? Next articleWhy Go To Lamaze Class?